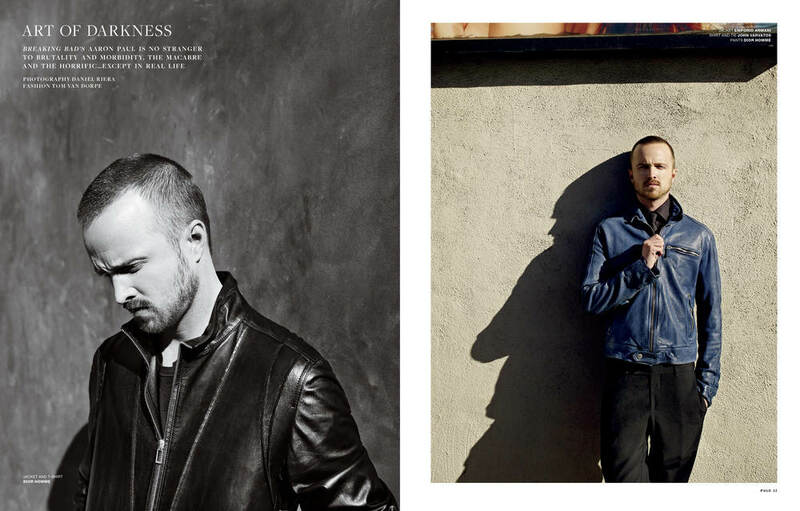 During the second season of Breaking Bad, I met Aaron Paul through a mutual friend in Miami. I had not yet seen the show, but, coincidentally, I'd been talking with some people at AMC about writing for them, and they had sent me DVDs of Season 1 to watch. I obviously immediately became hooked and we shot Aaron for the magazine. Had GQ's Freddie Campion write the piece.